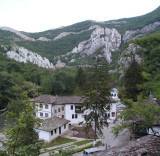 Bulgaria has 161 monasteries within the 14 church regions, called "sveti metropolii". I have no intention to show all of them, but rather only the ones I have visited in the past and the ones I may visit in the future. 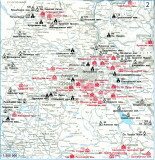 Click on the first letter of the monastery's name, to see the information.